I had to be a little creative in hooking the charger up. Disconnected the negative lead from the battery and connected the black alligator clip. 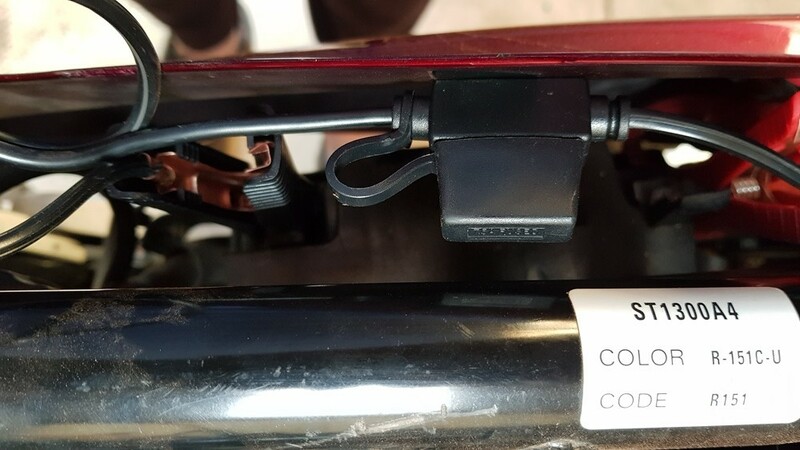 Made sure the charger was set for a lead acid battery before connecting to the bike. It is designed so that should the charger lose power (blackout etc.) it will resume at the same setting. Book says it should take about 15 hours to get the battery from flat up to 80% of maximum charge and it won't charge if the battery is three volts or lower. Why is it that on most electronic gear like this they can't fit the power plug the right way. Ruby came with an Anderson Plug for this purpose. I havent seen a better or easier setup. 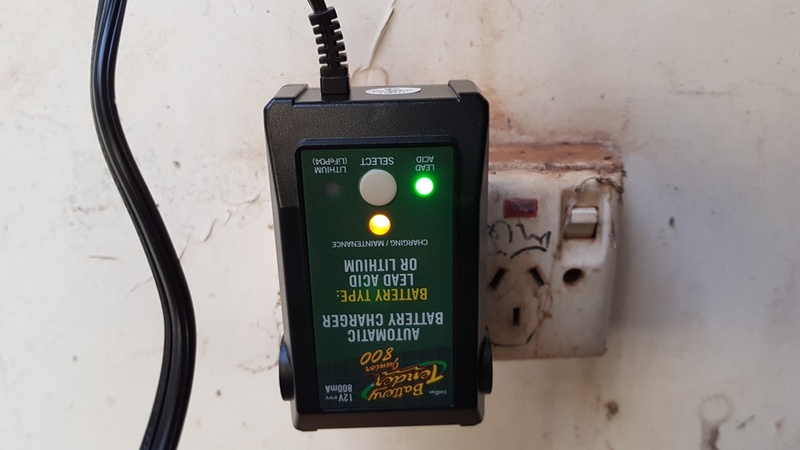 Tammie checked the charger (as I asked her) before she came over and both lights are green so battery is charged the charger turned off. 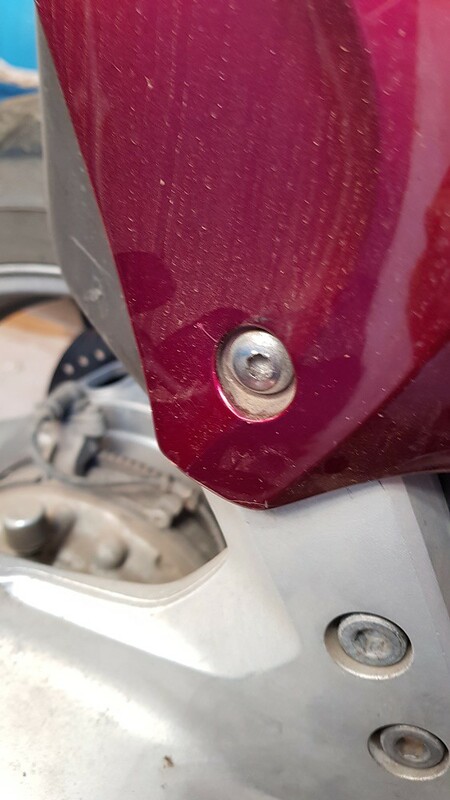 Find a flat bladed screwdriver of a size that will wedge across the points of the hex and use that to drive the damaged bolt out. Then you can put in a new bolt. I did a search on how to remove a stuffed hex bolt and that was not one of the options not listed so when I go to Tammie's place I'll give it a go. I've already tapped the bolt with a hammer. 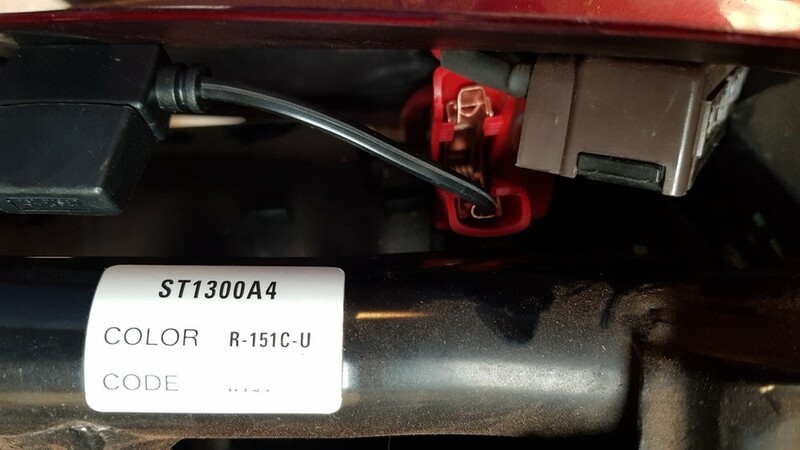 I wonder what the Honda dealer's mechanic used to tighten the bolt up with after he got the side panel off for the new battery they put in. If you need help to get that bolt out, let me know. Perhaps an "Easy Out" will do the job. Just got back from Tammie's place. Turned the charger back on while I played around finishing off the coolant change. Amber charge light came on for about 5 minutes followed by a flashing green which turned solid a little while later. Bike started ok as expected. same as what Glen put up on one of my other posts but a different brand. I have no idea how they do that. i just posted off a small book and it cost $8.30 standard postage, within QLD, no insurance. It would have to weigh a fraction of what 4 metal bits would weigh. Hopefully they are a good quality metal that will get the offending bolt out. Only needs to work once. Many the time I would have cheerfully paid a lot more than $5.55 to get a damaged fastener out! Mine arrived from Victoria today. Look the goods, but I don't have any problem bolts to remove to test them. I still can't figure out how Australia Post calculates their postage when the total cost was $5.55. Mine today as well arrived as well. When I bring the bike over from Tammies I'll see what happens. If the tool snaps off without removing the bolt I don't want to know about it! Apply lots of CRC/RP7 and let it soak for quite a while before you make the attempt. So, I need to know. 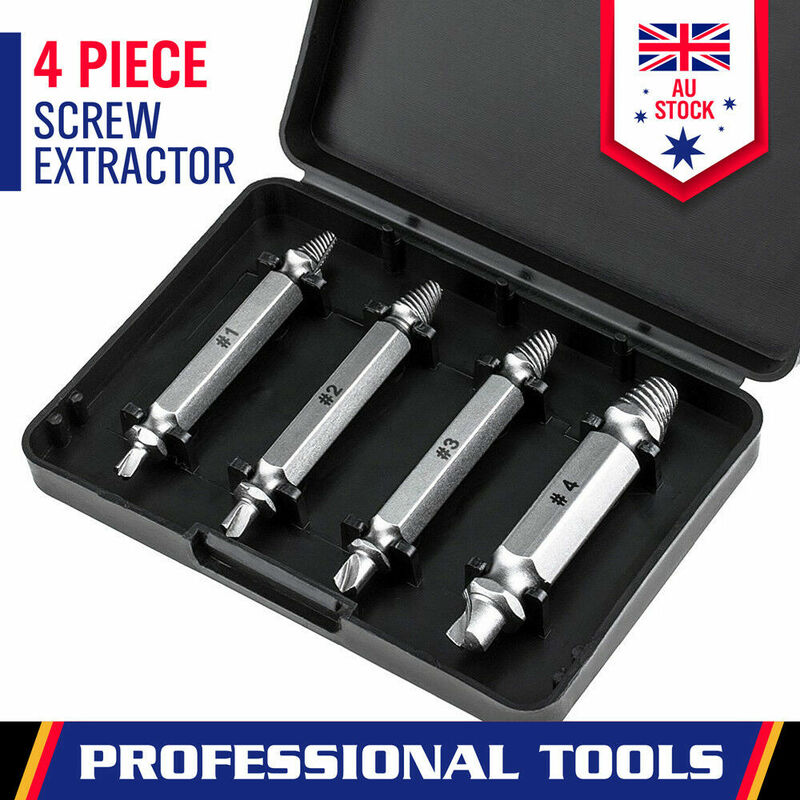 Did the tool extract the bolt??? Been to hot to worry about it yet.